Edie Karimova is a young fashion designer from Ukraine, who founded her own label 1,5 year ago. She took part in Mercedes-Benz Kiev Fashion Days and was on the shortlist of Harper's Bazaar Fashion Forward 2013. Simple, yet interesting silhouettes and beautiful photography by Tasya Kudryk make a great combination of sophistication and tenderness. 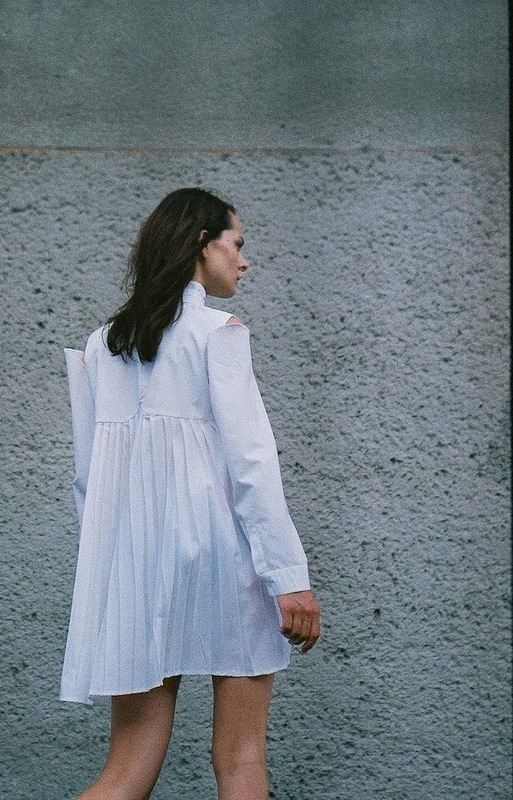 Austere but feminine looks and minimal approach makes Karimova the emerging designer to watch. "Collection s/s14 exalts the combination of power and tenderness. 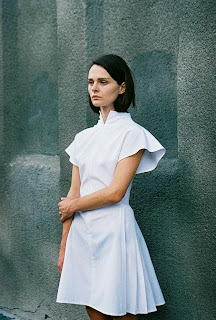 Clean cut and lapidary silhouette, traditional and new technologies (handcrafted shoes, 3d modeling of clothes and 3d modeled and printed bracelet) – is underline of this collection."